What is the best LCD Separator for removing glass? Depending on which phone you are working with it may be possible use an LCD separator to remove the glass lens while preserving the digitizer and LCD or AMOLED that are beneath it. This is also known as LCD screen repair although it is not actually the LCD that is being repaired but a piece which is attached to it. 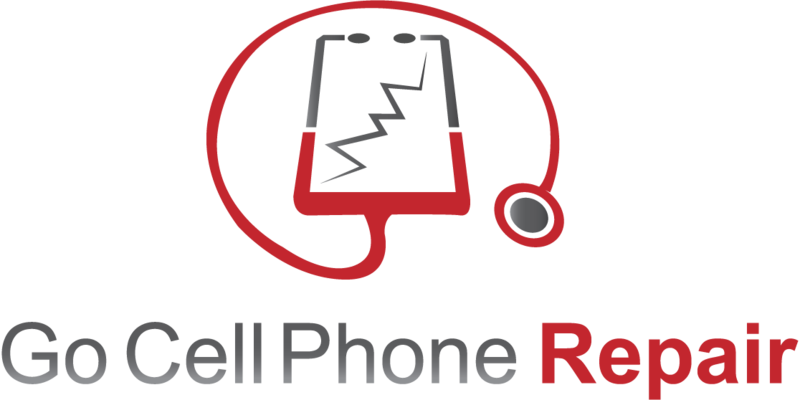 Older phones are usually the best candidates for this type of repair since they do not typically fuse the glass directly to the LCD. In the case of newer phones however you are more likely to run into a situation where the three components mentioned earlier are glued together at the time of manufacture. This design offers a few benefits such as less glare, better clarity, and no possibility of dust or debris getting in between the lens and LCD. One of the most common components prone to damage tends to be the phones screen. The problem is that when a new phone is released by a large manufacturer replacement parts tend to be expensive. Over time the cost of these replacement parts will decrease but in some cases not by very much. This is especially true of the Samsung Galaxy series since AMOLED screens are more expensive to manufacture than LCDs. Because the AMOLED is attached to the digitizer which is glued to the lens we have a unique challenge when the glass lens is damaged. Rather than replace the entire display assembly which would be quite costly we want to remove the glass from the rest of the display while preserving the functionality of the touchscreen and AMOLED. Since the parts are sealed together with a special LOCA, or liquid optically-clear adhesive, it this will require a specialized piece of equipment. This LCD Separator Machine is very similar to the one that we used in the video below. 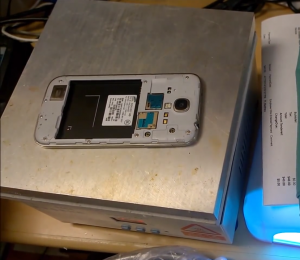 In the video below you can see an LCD Separator Hot Plate Machine being used to remove the glass from a Samsung Galaxy S4. The important thing to know about this process is that there is a very specific temperature range that you must keep the screen at in order to remove the glass without causing damage to the AMOLED. The glue must be warm enough to allow us to pry the glass away from the surface of the digitizer but not too warm otherwise the display can literally be burned. In this case the temperature is kept at about 120 degrees Celsius. A change in temperature of ten or twenty degrees can be enough to result in damaging your display. 120 degrees Celsius is roughly the temperature that we use for most Galaxy series screens but different manufacturers use different glues so this may require some research and experimentation on your part related to the specific make and model that you are dealing with. Also remember that at this temperature on your LCD Separator it is imperative that you do not leave the display on it for extended periods of time as the display may burn. It is also worth noting that the Galaxy S3 LCD, or AMOLED that is, can be particularly difficult to work with as the LOCA glue used for holding the glass on to the display is very strong. While it is possible to remove the lens from some phones without the use of a LCD separator machine your chances of success are not good especially is this is your first time. After you remove the old glass you will want to clean the surface of the digitizer before applying adhesive for the new lens. Much of the old glue can be removed by simply rolling it off with your fingers as shown in the video at the six minute mark. Once the majority has been removed we can use screen cleaner to thoroughly remove any remaining glue and dust from the surface. Next we will apply some Octopus UV Glue to the surface before installing the glass. The important thing to remember at this point is that the glue must completely cover the bottom of the glass but applying too much will cause it to seep into areas where it is not wanted such as the earpiece, front facing camera, and proximity sensor. Just like regulating the temperature for removal this requires a delicate balance. Most technicians need to practice this process before achieving consistent results. While installing the glass we gently press down just enough to slowly work any air bubbles towards the edges so that they can escape from under the lens. We found it helpful to use a UV LED Ultra Violet Blacklight to tack down the areas of the lens that tend to lift up during this process. Once we have all of the air bubbles worked out we can then proceed to the curing process by placing the phone into our UV Light Dryer front side up for about fifteen minutes. Once the LOCA glue has been cured you will want to clean the inside of the phone before putting it back together. Some of the glue will inevitably make its way to the back side of the mid-frame. This glue can be wiped away with a soft absorbent cloth since it has not been cured by the UV lights. Make sure to test the earpiece, speakerphone mic, front facing camera, and proximity sensor as these components are sometimes exposed to the glue unintentionally. Performing a glass only repair is not the only use for your LCD Separator hot plate. While you don’t have to rush out and buy one for your next iPad repair you will find that once you have one on hand there are many uses for it. While a heat gun can be very useful it does present a few challenges for screen removal. The main issue is that heat guns require that you manually monitor heat distribution on the surface that you are working with. For small jobs like an iPhone for this is easy enough. There isn’t a whole lot of surface area to worry about and it isn’t crucial that the temperature be perfect, just high enough to make prying easier. On the other hand working with an iPad Air requires that the entire perimeter of the device be warm enough that the glass can be pried off without cracking but not so hot that the LCD becomes damaged. When you are working your way around the edges it can be tricky to keep everything consistently heated with the relatively small nozzle of a heat gun. By using an LCD hot plate you can simply set the tablet on a large heated surface for a few moments and then go back to working on it immediately. By alternating every minute or two your odds of safely removing the display are greatly increased. Since everything affects our bottom line in this business using the hot plate will save you money with the reduced number of digitizers that you may damage during a repair and the amount of time that you invest in each project. The math is simple. If you are performing repairs on a regular basis then saving two or three displays by using this method will more than pay for the investment required to acquire an LCD hot plate machine. Once you become proficient in its use you should be able to quickly see a return on investment many times over. Considering the cost of your hot plate not to mention the significant shipping charges involved in acquiring one you’ll want to make it last as long as possible. It is hard to say just how long the lifespan of a machine like this will be but it may even be a good idea to keep a spare on hand. For some of us losing the use of our machine can mean considerable downtime while we wait for a replacement unit to arrive in the mail. Remember that if you can’t help your customer someone else will! In order to prevent accidental burns and extend the life of your LCD Separator Hot Plate Machine be sure to turn it off when not in use. In some cases it may be possible to remove the cracked display assembly from your phone in one piece and then remove the glass. This is not the case with most Samsung phones because of the way that the AMOLED is bonded to the mid-frame. Removing it without damaging the fragile display is possible but very difficult. With something like an LG G3 however you will have a much better chance at this process and can use a different technique to remove the glass in one smooth motion using a molybdenum wire. The different for that particular model is that instead of an AMOLED you’ll be working with an LCD so LOCA glue is not a good choice for bonding the new glass touchscreen because glue will leak into the display and discolor or otherwise damage it. Most technicians opt for OCA sheets which require a different process for installation. The removal however is much easier as shown in the video below. For taller phones like the G3 you’ll want to use something a little bigger than the one that we did. While it worked at the time we have since added the one below to our equipment to make working with bigger phones easier. Notice that this one also has the removable clamps like the blue hot plate in the video. The best LCD separator is the one that happens to fit the phone or tablet that you are working on.